The Heritage Premier Show glove is the number one choice of our top athletes. Exclusively made with a new technically advanced material that insures a tacky grip on the reins and allows moisture to pass through from your skin to the surface creating a more comfortable experience while competing in your event. This glove is cell phone compatible. Heritage Premier Show Gloves is rated 4.1 out of 5 by 72. 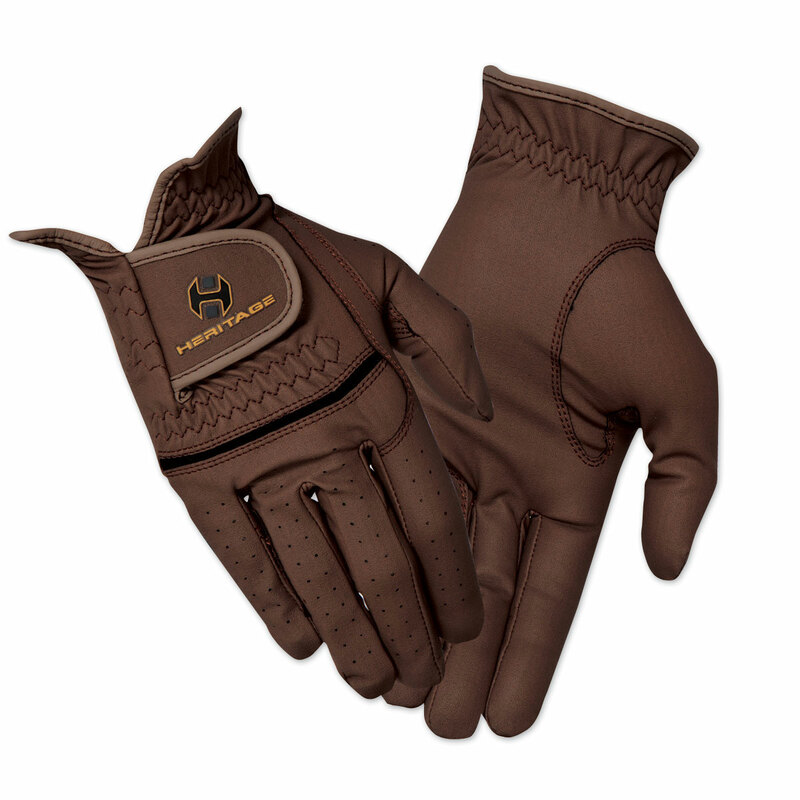 Rated 3 out of 5 by Grace from Great but wears out quickly I love these gloves and have bought several pairs. These gloves are nice and grippy in all the right places and fit nice and snug without being constricting. They may feel tight at first but be aware that they do stretch! The only hesitation about these is that they are not durable! The seams were ripping within a couple weeks of light use and have since almost completely fallen apart. I've stuck with them through 3 pairs but the price is not worth the quality! Rated 5 out of 5 by Knick126 from Best Show Gloves I love Heritage gloves and these 100% live up to the high quality and durability of their gloves. Look beautiful in the show ring, soft leather, and comfortable. Rated 5 out of 5 by Buddy from Great gloves for the show ring. I bought these gloves a week before the show. I put them on and went into the show ring. They are so soft and comfortable. Made it easy to feel the reins in my hands. Rated 5 out of 5 by Ellykaufmann from Comfortable Good quality and fit. Super comfortable and durable. Love the material. Rated 5 out of 5 by Mustang Meggy from Awesome gloves for the Great show gloves. I use them the first time and got black all over them from my leather. But they clean up well and if you use a mr. Clean Magic Eraser, it turns bright white again. Rated 5 out of 5 by Jamie from Nice gloves! Have been wanting to try these for awhile and so happy I did! Great glove, thin and breathable for summer but have used them on chilly days and they keep my hands warm! Rated 1 out of 5 by Kate_ellie16 from Don't get these gloves! Do not get these gloves. They are poorly designed and have practically no grip. Rated 4 out of 5 by Alliecat517 from Great looking glove without excess bulk! I purchased these, not for showing, but to replace my SSG Hybrid gloves I schooled in most of the Summer. I wanted to try a new brand, but don't like the bulkier gloves usually made for Winter weather. The brown is much darker than pictured. I originally thought I was sent black by mistake, but on closer observation of the tags and some scrutinizing in the sunlight, they are indeed brown! I purchased the smallest size Smartpak offered and the fingertips are a little long, but they are an overall good fit. I will have to see how they hold up since they are not designed for frequent riding, but so far I am pleased. Comfortable and elegant... perhaps they will lighten up with more use and look more brown than black! Rated 5 out of 5 by username1234 from Awesome Quality I've had these for about a year, and they've been great (until my dog chewed them up, but that was the only thing that actually broke them!!). Awesome quality I expected from the brand, and super durable. 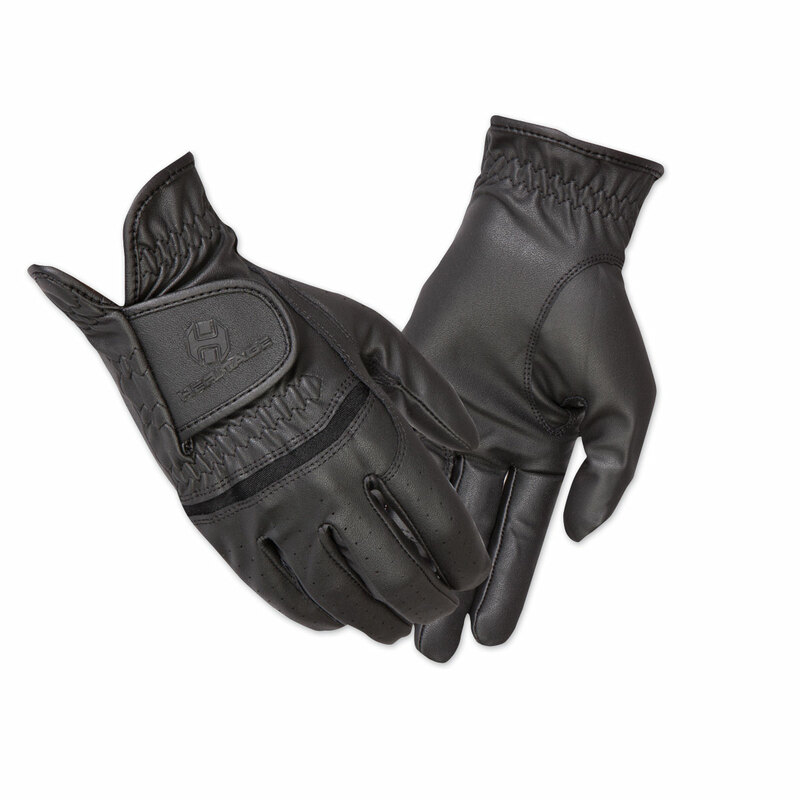 The breathability is great, and I'd totally recommend these as a perfect summer glove (but you can use them year-round) The only con I'd say would be that they'd get dusty crazy fast (but I mostly ride on sand, so thats a pretty big contributer to that). Other than that, I totally recomend buying these, but they do run a bit large, so beware if you think you're a half size!! All in all, awesome gloves, that could withstand everything I threw at them (until my dog chew them up, lol).